Compared to the other devblogs this is going to be a bit more technical. Hopefully you will find it interesting nonetheless. Basically there are three necessary parts to a CCN game - locations, conversations and battles. This is true in the structure of the game's code as well. The 'location code' leads you to 'conversation code' and the conversations leads to all the other features (battles, shops, boosters, minigames & more). This means that if there are easy ways for the content creator to define the locations and conversations of the game they can do all the implementation work themselves. 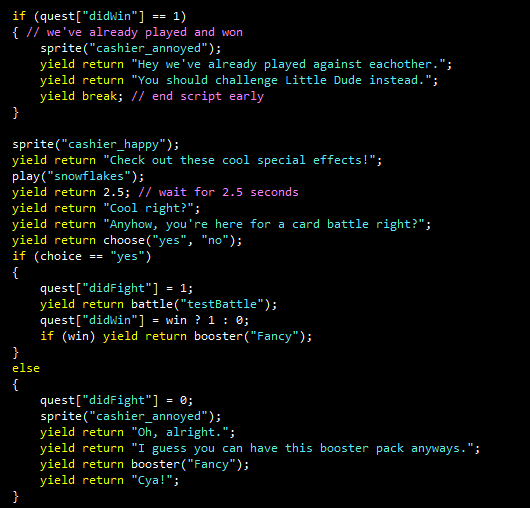 We went with scripting code since that makes sense for dialogue (easy to follow along when reading). I decided to keep the scripting hardcoded instead of interpreting an external file. The good thing about this is that if we want to we can reach all of the other game code to do some crazy special programming if we want to. The negative is that we can't reload the script during play of the game and we have to recompile the game every time we want to try something new. I kept the scripting code in C# which is what we use for the other code. The only thing I don't like is the command "yield return" it doesn't look good. If there was macros in C# I would've changed it to "waitfor" or something like that, to make the script more readable. When a features is implemented by a programmer a script writer can use that new feature anywhere in the game, since everything goes through the dialog system. This means that if the script writer would like to bring up the profile page when talking about statistics that can be viewed there and then return back to the conversation - they can. This is a very powerful yet simple system that works mainly because the game itself is simple in it's structure. It's just a visual novel with some mini games. Hello everyone! 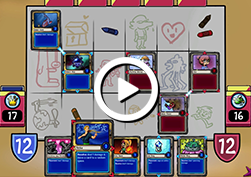 It's me, Regnslöja, one of Ludosity's two artists here to tell you about Card City Nights 2. Just like in CCN1, I've drawn all the characters and most of the cards while leaving backgrounds to my co-artist Nils. I don't have the patience for big scenes like that. The style we went for here was basically "like CCN1, but cleaner and better", so I hope those who liked the first game will feel at home. If you haven't played CCN1 in a while, maybe you wouldn't even notice the difference, but here we see Jenny Bun and Ittle Dew in both games, and I think you can tell it's changed a bit. 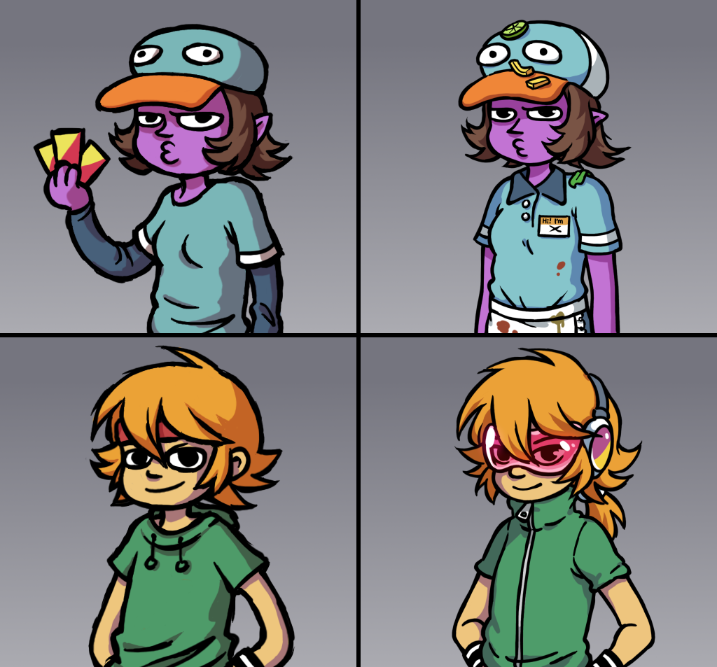 Just like in CCN1 and Princess Remedy, me and Daniel (star designer and writer here in Ludo City) work kind of separately with characters, which I think is an interesting dynamic allowing us both to be creative. We basically decided on the characters that would appear in the game, and some basics about the character. Then I just went through the list and drew them while Daniel wrote the campaign. This desync can lead to interesting results. 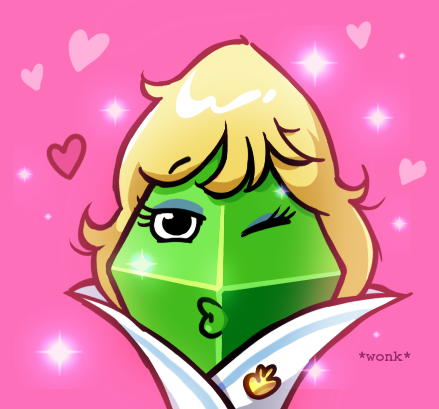 For example, I drew Navigator (Green Crystal) as very flirty, giving her expressions like ;P and a kissy face. And then Daniel goes and writes her as married. The few cards that reuse the art from CCN1 have been touched up to fit in better with the new ones. However, consistent style isn't as important with the cards, and there are cards drawn by Nils (notably Bird, just like he did in CCN1, but many others too) and Daniel (Hype Snake for example). By the way, did you know that we brought back cards in the upcoming Ittle Dew 2+ thingy on Switch? 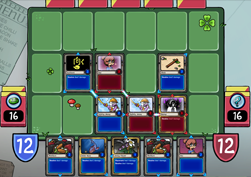 In CCN1, we really had to scramble for cards to the point where some cards were the geometric shape enemies from Daniel's old game Castle of Elite, haha. This time around, it's the opposite! With Ittle Dew 2, two Princess Remedy games and Psycard... the amount of characters in the Ludoverse have increased dramatically! So now we have more than we need, really. Not even close to all the Remedy characters have cards yet (my beloved Pancake Master is missing), and not even all of Ittle Dew 2 either. Psycard has a surprising amount of cards for a mostly unknown game, but that's because they were so easy to make - just take the portrait straight from the game. Since we needed a lot of cards quickly, "ease of making" did play part in what cards got in for release. 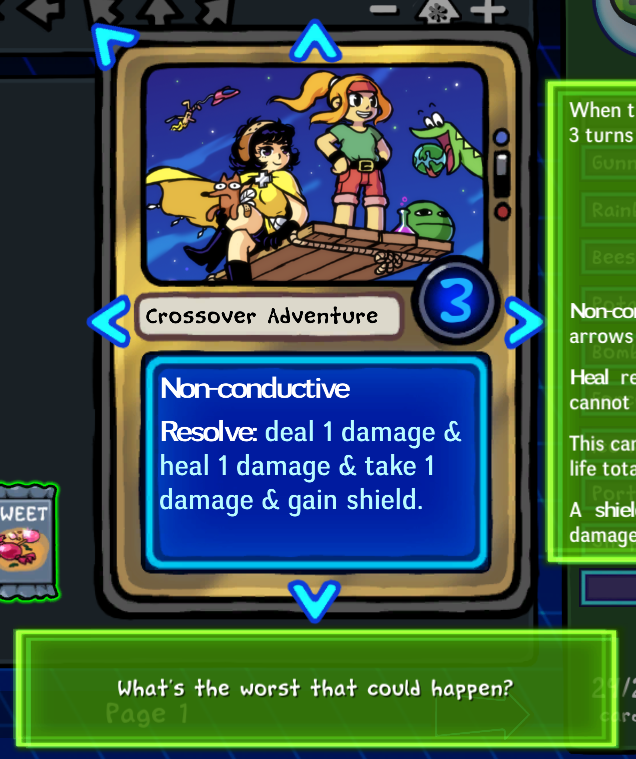 Like "Crossover Adventure" below, the art is just a promo picture we already had. Rest assured that we'll be adding a bunch of cards in patches after release, just like we did with the first one, except this time there's online multiplayer so it's even more fun to get new cards! 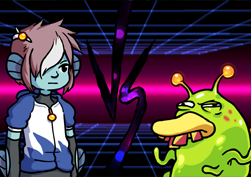 As usual, we're having a lot of fun making this game. I love designing alternate versions of our characters! Will YOU recognize them all?? Probably not, as some are too obscure - like Rulle or the musical group that only appears on a tiny poster in ID2. Thanks everyone that participated in our beta! We ran it for 10 days at got a lot of really valuable feedback. We managed to push out two balance updates during the beta, and while we're not completely done balancing, I think we have something pretty stable right now! 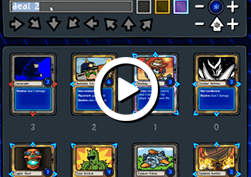 This beta focused solely on multiplayer, but with less than 2 months from release we are now going to post more updates about the single-player adventure that makes Card City Nights so unique among other card games. Be sure to check in here or on social media during the summer! So... I've made a lot of changes this week, maybe too many in such a short time. Some of the changes might've been a bit too haphazardly made, but I thought that I might as well do some radical tweaking just to get some final feedback from you guys before the beta ends. So please do post any b02 comments or concerns you might have below. [Neo Dea] and [Fishbun Pileup] are no longer cards you can have in your deck. Generally nerfed placement damage effects. Generally buffed arrows and linking. Changed peek effect to look at multiple cards at once or at the opponents current hand. Added pay token effect, if you can't pay the token the effect won't happen. Tweaked some archetypes like bird, bun and jenny. 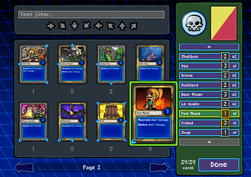 "It" effects ("transform it", "remove it") that refer to cards that've just been removed won't crash the game anymore. Peeking at cards is a time'd action now. We might be able to do one more patch before this beta ends, so hit me with your suggestions. The original Card City Nights started out as a fun side project, but turned into one of our most beloved games. It has a great atmosphere, a stellar soundtrack, and a core game mechanic that's very different from most traditional TCG's. 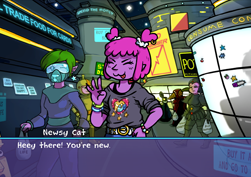 It also plays very differently in that it's more of a light Adventure/RPG where you travel the city, meet weird people and adventure through a story line. 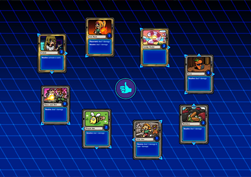 Only instead of RPG-styled battles, everyone is crazy about playing cards. This time around we're thinking things through a bit more, and we knew from the start what we wanted to add and improve upon. The big one is multiplayer, which was the number one requested feature for the first game. We're also addressing some flaws in the original game design, and among other things have merged the two boards into a single playing field. 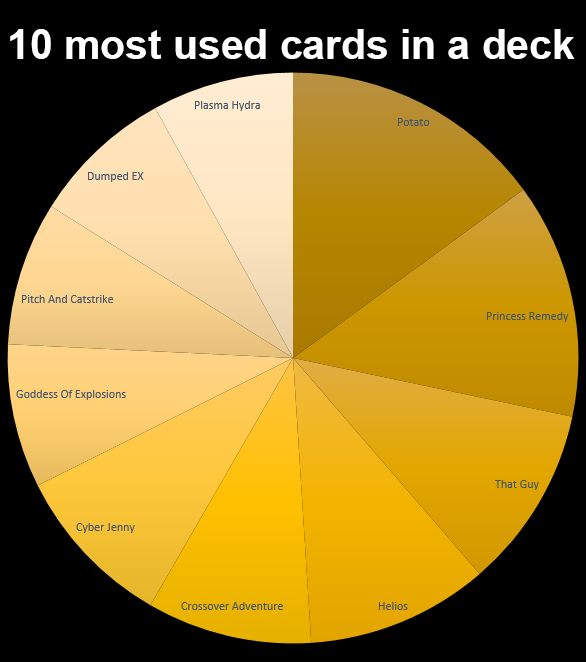 Card City Nights 2 features two hundred cards with all your favourite (and probably some of your least favourite) characters from games by Ludosity, all with their unique mechanics to bring out the most of every possible strategy. At the same time we are definitely keeping some things the same - the atmosphere, the adventuring, and making sure the soundtrack is at least as good as the first one. In the coming devlogs we'll make deep dives into each one of these areas, so stay tuned! The development of Card City Nights 2 has so far been a blast for everyone at the studio and we're super excited for the game to be released! Giving the players a multiplayer feature is sure to bring out the best and worst in you, and we are looking forward to see some of your favourite strategies and fantastic plays! As I'm writing this, we're right between beta round #1 and round #2 - for the first round we invited only the first 100 signups, and with the upcoming round we'll open up for a lot more. We already fixed a lot of things, and can't wait to hear what y'all think of beta #2! Card City Nights 2 is kooky, quirky, has a stellar soundtrack and a very interesting and unique card battling mechanic that makes it stand out from other TCG's. With an all new adventure set in a space station, a much improved UI and an all-new online mode, we think you're going to love the game when it releases September 1st! And remember, it's always night in space. Beta #2 will go live on June 23'rd! Sign up now (scroll down) for chance to try the online VS mode before everyone else! If you were already invited to Beta #1 you don't need to sign up again. Card City Nights 2 improves on its predecessor in every way. Follow us on Twitter, Facebook or our blog.